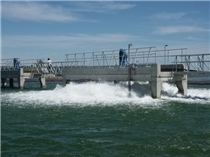 Nijhuis Water Technology offers a complete range of Bioctor aerobic biological waste water treatment systems. The following aerobic biological treatment system can be part of our solution. Depending on your waste water and effluent requirements, Nijhuis Water Technology will select, design and build the most suitable plant for each application, taking in consideration investment, operational costs, local requirements and reliability.